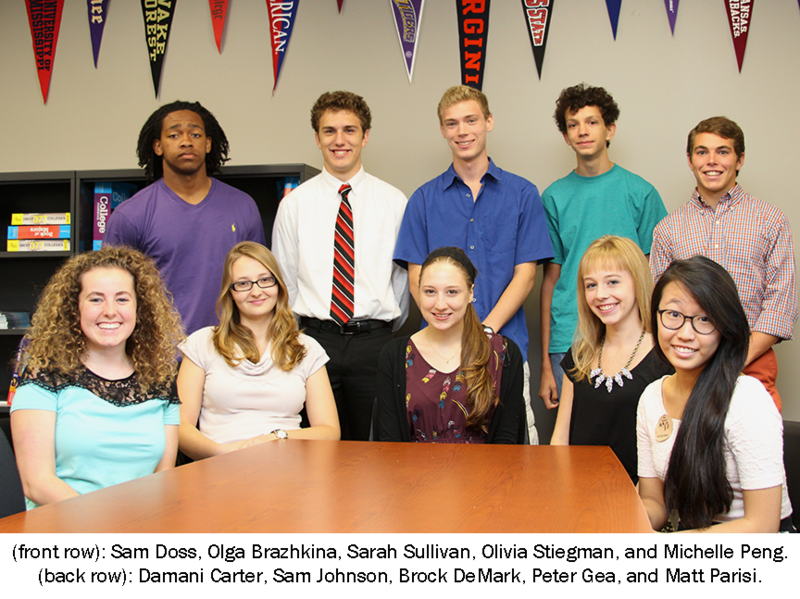 Ten FHS seniors have been named semifinalists in the 2014 National Merit Scholarship competition. Nine were named as National Merit semifinalists, and one was named a National Achievement semifinalist. The National Merit semifinalists are: Olga Brazhkina, Brock DeMark, Sam Doss, Peter Gea, Sam Johnson, Matt Parisi, Michelle Peng, Olivia Stiegman, and Sarah Sullivan. Damani Carter was named a semifinalist in the 2014 National Achievement Scholarship Program, a competition for Black American high school students from the National Merit Scholarship Corporation. Carter was the only National Achievement semifinalist selected from Northwest Arkansas.